One of Connecticut's two commercial wind turbines in Colebrook, Connecticut. The company that operates the Colebrook farm is proposing to build a second farm in nearby Goshen. If approved by the state, BNE Energy says their turbines could be running in Goshen by the end of 2018. "It's a great location. In our opinion, it's one of the best, if not the best site in Connecticut," said Paul Corey, BNE's chairman. 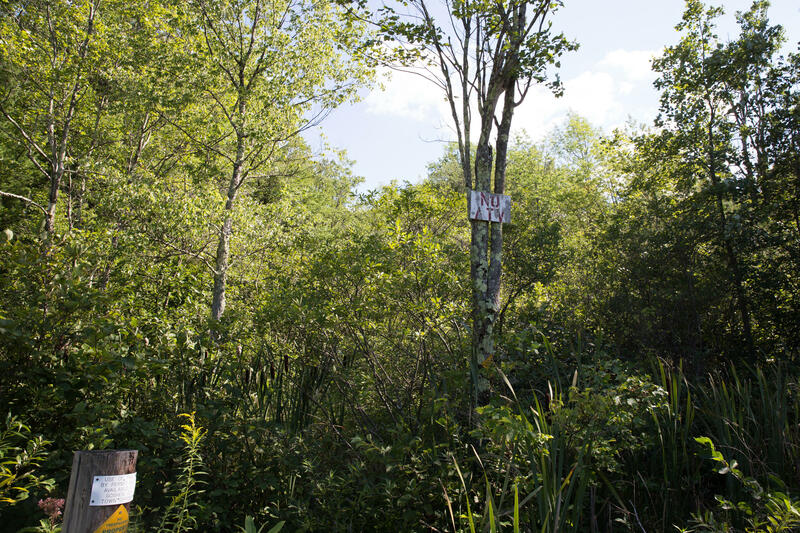 "From looking at all factors: the water company owns over 5,000 acres of land, we'd literally be on a ridgeline, there's very few houses in the area." “[That] means no chemicals from lawns flowing down the hills. No oil dripping off a truck in their driveway, or a car dripping in the driveway and the rain washes it through the forest into the reservoir," Zupkus said. Forested land on East Street North in Goshen owned by the Torrington Water Company. Some trails on the property are open to Goshen residents. 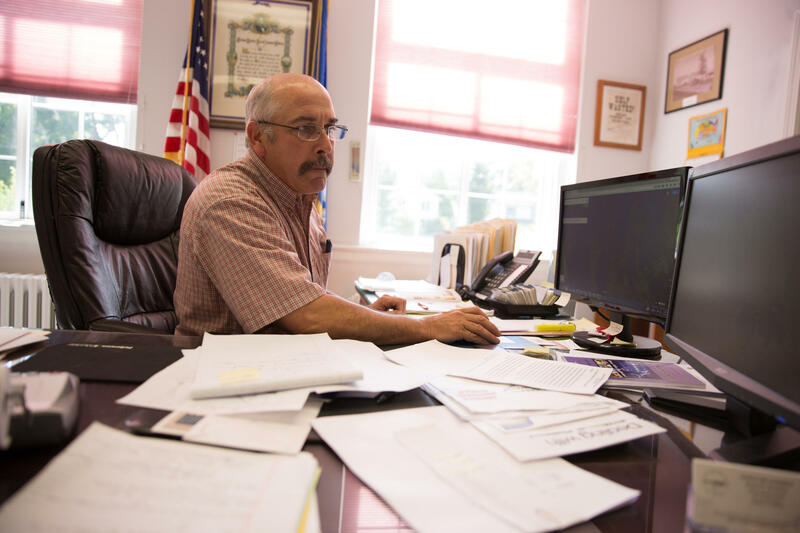 Goshen First Selectman Bob Valentine said he’s keeping tabs on a suit BNE recently filed against the town of Colebrook over their tax assessment because the outcome will affect how Goshen taxes the new wind farm if it's built there. "My hope is that that will be settled out in Colebrook by the time that this project gets built, we’ll have a good sense of the value of these," Valentine said. "The tax base part of it will be a positive aspect, but that’s not the first thing I would think about necessarily." Valentine said he first wants to hear what residents think. There was strong pushback from some community members in Colebrook against the first wind farm’s construction -- but right now, Valentine said not too many people know about the proposal for Goshen. He said the idea of renewable energy is something the town might embrace. Goshen First Selectman Bob Valentine looks at the Goshen wind farm proposal in his office.